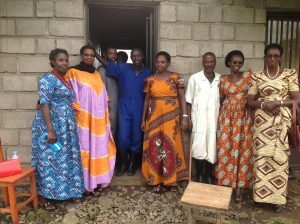 GNPDR believes that in many places, more than one type of assistance is needed to help a community become sustainable. We want to promote improved livelihoods through formal, informal, and vocational education for sustainable development. GNPDR believes that education makes a world of difference. Education is the key to tackling poverty, improving health and building brighter futures. Through education and training individuals use skills to transform their own lives and communities; therefore, we want to help marginalized groups of people transform their lives through education. GNPDR has helped genocide widows to regain hope by initiating Hope project aiming at improving livelihoods and food security. Hope project has main three wings: Chicken farm, water supply, and irrigation for food security. The project is designed to contribute to increased income and improved livelihood, food security, and natural resource management through demonstrating the efficiency of solar-powered irrigation and organic manures in increasing food productivity and mitigating the climate change variability. 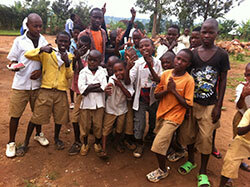 GNPDR has been supporting a catch-up school for ex-street kids since 2007. We bring the kids from the street to foster families, then to the catch-up center where they spend 3 years catching up with the education. After the period of 3 years, they sit for the national examination and those who pass go to high schools and the others may join vocational training schools depending on availability of funds to send them there. The aim is to send those who don’t make it to high schools to the existing vocational training schools to gain skills that would enable them earn living. By literacy we mean more than just the skills of reading, writing and numeracy; we see literacy as a tool for transformation under a broad definition which embraces IT and other media resources. Since 2012, GNPDR has supported 26 literacy centers (24 in the community and 2 in prisons) which have trained about 1,625 learners. After they’ve been given literacy and numeracy skills, we plan to empower them with life skills to enable them create jobs and become dependable in the society. 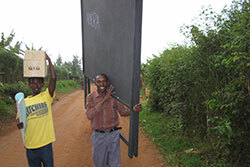 Some of the big causes of crimes are ignorance and unemployment; we want to do the same in the prisons of Rwanda.